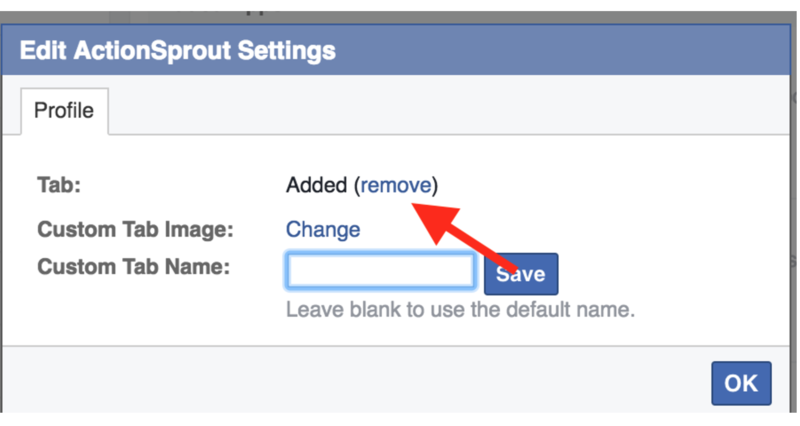 If you don't have a good use for that Actions tab on your Facebook Page, it's really easy to get rid of. Just log into Facebook and click Settings at the top of the screen. Then select Apps from the left menu. Inside of the Apps menu, choose ActionSprout and select Edit Settings. From here click Remove and then Okay. For more information on tabs and apps visit the Facebook help website.